Looking for the perfect holiday gift? 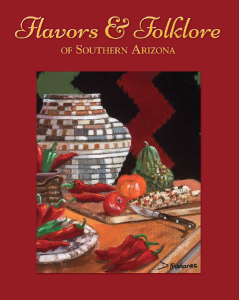 The Long Realty Cares Foundation Cookbook, “Flavors & Folklore of Southern Arizona” is available for purchase NOW! Stock up and give them as host/hostess gifts, holiday presents, or any occasion. This beautiful hardbound book has a collection of over 200 pages of recipes and more. “Flavors & Folklore of Southern Arizona” is full of delicious recipes and features history and folklore from our unique region. The recipes within were submitted by our very own Long Realty agents and employees, and we are also proud to feature several local restaurants. This is a limited edition, so don’t delay and stock up while you can! Books are $30 each, or $25 each for quantities of 4 or more. To find out more and order yours today, contact the Foundation Office (918-3757 msalvagio@longrealty.com) for more information. Share the post "Cookbooks Available!"